For those of you who cannot tolerate gluten, this recipe is loaded with flavor but is gluten-free, soy-free and cow-dairy free so it’s better also for those of you who are lactose intolerant. 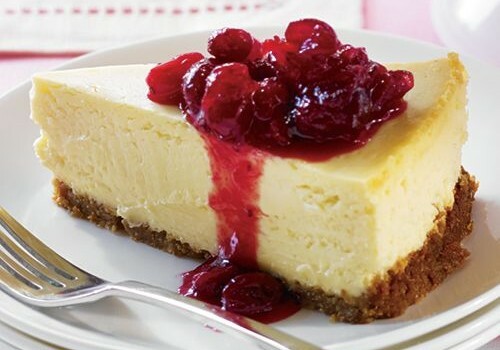 For those not worried about gluten, this cheesecake recipe uses some ingredients that give it a unique taste, such as coconut milk and of course, goat cheese, so you will still enjoy it. 8 ounces gingersnap cookies, finely crushed. 2 lbs chevre goat cheese) softened to room temperature. Preheat oven to 350 degrees. Grease a 9 inch pie plate. Crush gingersnaps and add melted butter and mix well until crumbs start to stick together. Press them into the pie plate. Bake at 350º until lightly browned. Remove from oven and let cool. Meanwhile, beat the chevre and honey with a mixer until smooth. Add vanilla. Beat in the eggs, one at a time, mixing thoroughly after adding each egg. Add coconut milk and flour and mix just until combined thoroughly. Pour the cheesecake batter into the cooled pie crust and bake in preheated oven for 45 minutes or until set. Turn off the oven and let the cake cool in the oven before removing it or it will sink. Refrigerate for at least 1 hour before serving. Serve with fresh berries or other fruit on top.